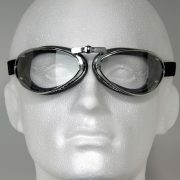 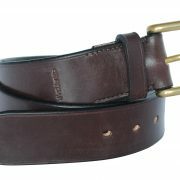 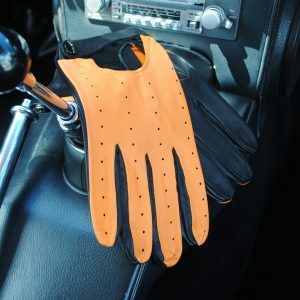 As worn by Graham Hill (driving the Maranello Ferrari 330P) in the 1963 Goodwood TT, which he won! 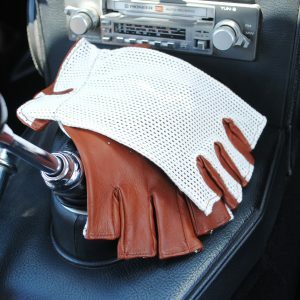 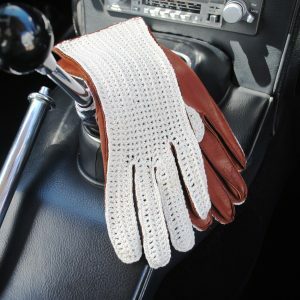 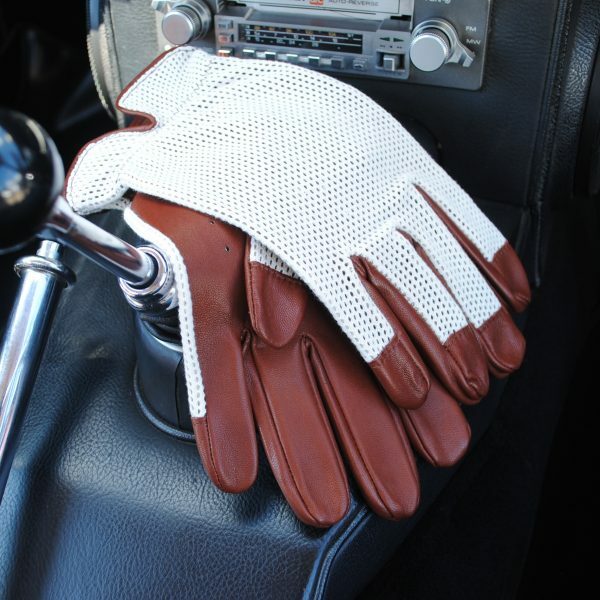 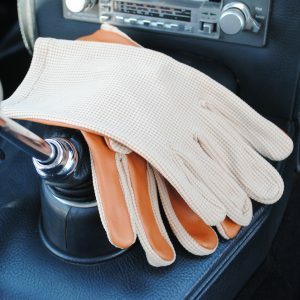 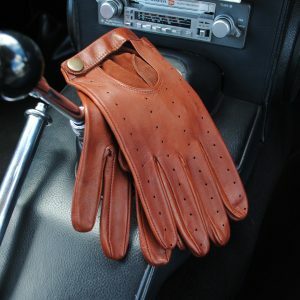 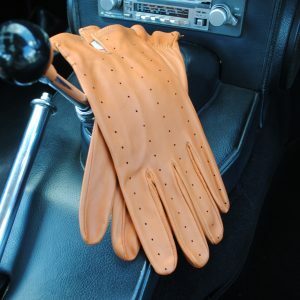 Les Leston driving gloves but in traditional colours of cream and tan. 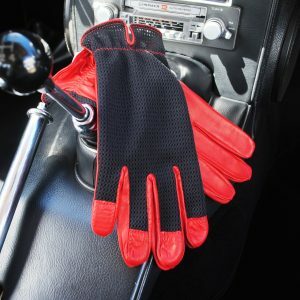 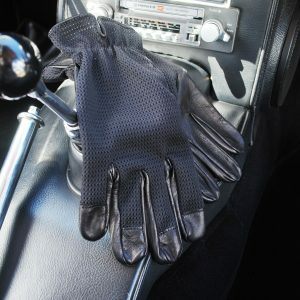 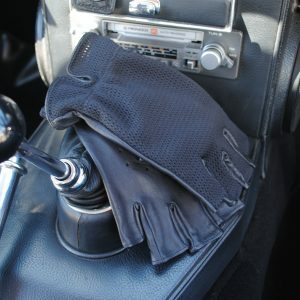 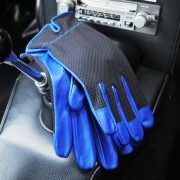 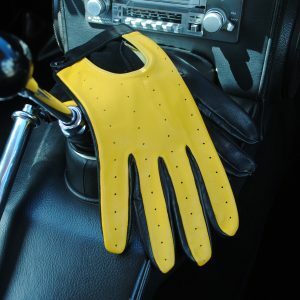 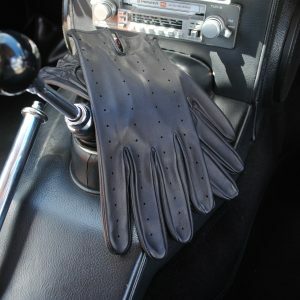 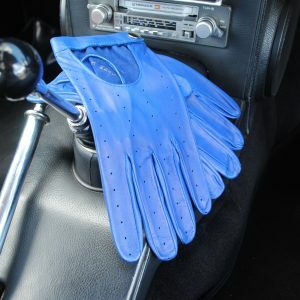 These driving gloves have performance in mind – minimum weight, maximum ventilation and very durable. 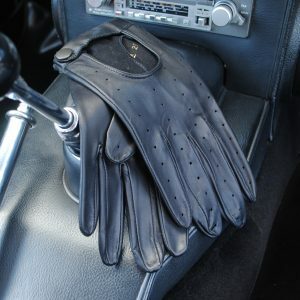 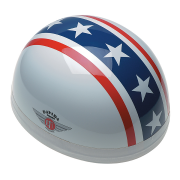 A real asset for those long continental tours!